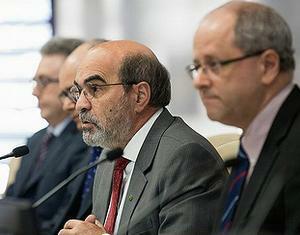 ROME, Italy, March 22, 2013 (ENS) – On the first International Day of Forests, celebrated Thursday by the United Nations, Jose Graziano da Silva proposed that all countries support a Zero Illegal Deforestation target. As director-general of the UN’s Food and Agriculture Organization, FAO, Graziano da Silva linked illegal deforestation and hunger at a ceremony marking the UN’s newest International Day. “This is why, I would like to encourage countries to promote tree planting and to consider a Zero Illegal Deforestation target in the context of the post-2015 debate. These two goals should be closely linked,” said Graziano da Silva, an American-born Brazilian agronomist and writer. “We can achieve positive results if countries, the international financial institutions, the UN, civil society and the private sector join forces to tackle these issues,” he said. The UN General Assembly has proclaimed March 21 the International Day of Forests. From 2013 on, the day will be observed each year to celebrate and raise awareness of the importance of forests and trees to all life on Earth. UN Secretary-General Ban Ki-moon called on governments, businesses and civil society to protect forests by reducing deforestation, preventing environmental degradation, and providing sustainable livelihoods for all who depend on this precious ecosystem. “Forests are vital for our well-being. They cover nearly a third of the globe and provide an invaluable variety of social, economic and environmental benefits,” said Ban. Forests are the source of three-fourths of the world’s freshwater, they stabilize slopes and prevent landslides, and protect coastal communities against tsunamis and storms. In addition, more than three million people use forest wood for fuel, said Ban. Forests also help combat climate change as they store more carbon than is in the atmosphere, said the UN chief, yet some 13 million hectares of forest are destroyed annually, and deforestation accounts for 12 to 20 percent of the global greenhouse gas emissions that contribute to global warming. 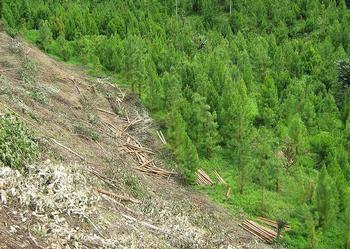 “As weather patterns change due to climate change, many forested areas are increasingly vulnerable. This underlines the urgency of a global, inclusive, legally binding climate change agreement that will address greenhouse gas emissions and encourage the protection and sustainable management of forests,” Ban said. The U.S. Forest Service’s International Programs office, with support from the U.S. Agency for International Development and the U.S. Department of State, works with other countries to promote low-emissions strategies, and the sustainable use and conservation of natural resources. For example, International Programs is assisting the Peruvian government in implementing a new forest law that will comply with international agreements. The Peru Forest Sector Initiative aims to develop an information and control system for forest and wildlife resources, chain of custody for species listed in the Convention on International Trade in Endangered Species, environmental law enforcement and prosecution, concession management, forest inventory, and community and indigenous forest management. In addition, the North American Forest Commission, the U.S. Forest Service, and Canadian representatives are collaborating on treatments for forests affected by insects and disease, problems which heightened by climate change. 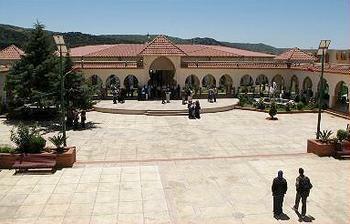 High-level officials from Mediterranean countries met this week in Tlemcen, Algeria’s forested national park in Tlemcen province, to adopt a Strategic Framework on Mediterranean Forests. Based on the key recommendations adopted on Thursday in the Tlemcen Declaration, the future implementation of the Strategic Framework on Mediterranean Forests is viewed as a useful regional tool to adapt national forest policies in the face of global changes affecting the Mediterranean region. 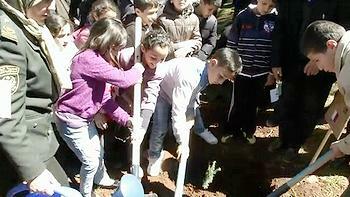 Algerian schoolchildren planted trees Thursday at Tlemcen and other groups planted trees in many places across the world to celebrate the first International Day of Forests. Mediterranean forests will be hard hit by climate change and are under severe pressure from population growth, finds the first FAO report on The State of Mediterranean Forests, published Thursday. Temperatures in the Mediterranean area increased by one degree during the 20th century while rainfall decreased by 20 percent in certain Mediterranean areas. By the end of this century, temperatures will have risen by a further two degrees, the report projects, which is likely to put some forest species at risk of extinction and result in loss of biodiversity. Population growth is expected to rise from around 500 million people currently living in the Mediterranean area to 625 million by 2050, putting additional pressure on forests as sources of food and water. The report was developed by more than 20 scientific and technical institutions and nongovernmental organizations and nearly 50 authors and other contributors coordinated by FAO and Plan Bleu, the main support center of the Mediterranean Commission on Sustainable Development. FAO intends to publish The State of Mediterranean Forests every five years, providing further opportunities to unify and mobilize partners in the management of Mediterranean forests and other wooded lands.